We Buy Gold Coins in Nashville! 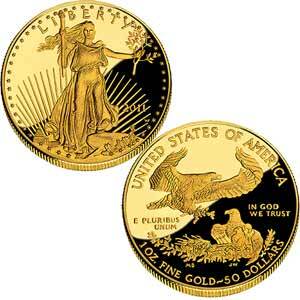 Nashville Gold & Coin Buyers offers among the most competitive rates in the industry for gold coins and gold rounds. 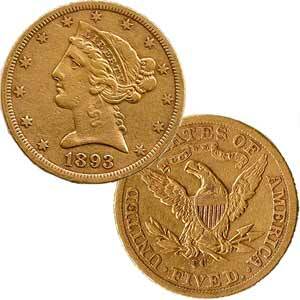 A common misconception is that gold coins are composed of 24 karat gold. The reality is that most gold coins are 21.6 karat (90%) or 22 karat (91.6%) gold; although, the U.S. Mint has produced one gold coin that is 24 karat (99.99%) gold. 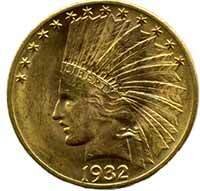 It should be noted that most U.S. commemorative gold coins and gold bullion coins minted prior to 1934 contain 90% gold. The American Buffalo, or Gold Buffalo, are the first .999 or 24K gold coins minted by the United States Government for the public. They were first produced in 2006, and are available in various denominations, including 1/10 oz, 1/4 oz, 1/2 oz, and 1 troy ounce. 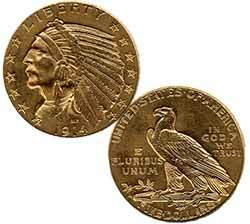 The coin’s design is based on the 1913 nickel coin known as the “Buffalo Nickel” or “Indian Head Nickel”. 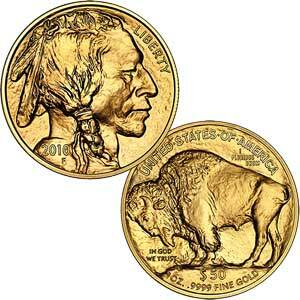 The most common of the Buffalo American gold coins is the one troy ounce variety, which has a legal value of $50, but as is the case with all gold coins, is valued based on the current spot price of gold and collector demand. Considered by many to be the most beautiful US coin ever designed, this coin is named after its designer, Augustus Saint-Gaudens. 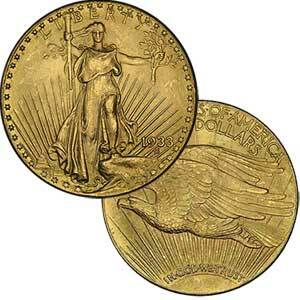 The coins were minted between 1907-1933. We also buy foreign gold coins including Canadian Maple Leaf coins, South African Krugerrands, Chinese Pandas, Australian Kangaroos, Mexican Pesos, British Sovereigns and more. We are interested in any recognizable gold coin (government or privately issued), so don’t hesitate to contact us regardless of the type of gold coins that you have available. Ready to Sell your Gold Coins? Contact us today for a free, no-obligation appraisal!